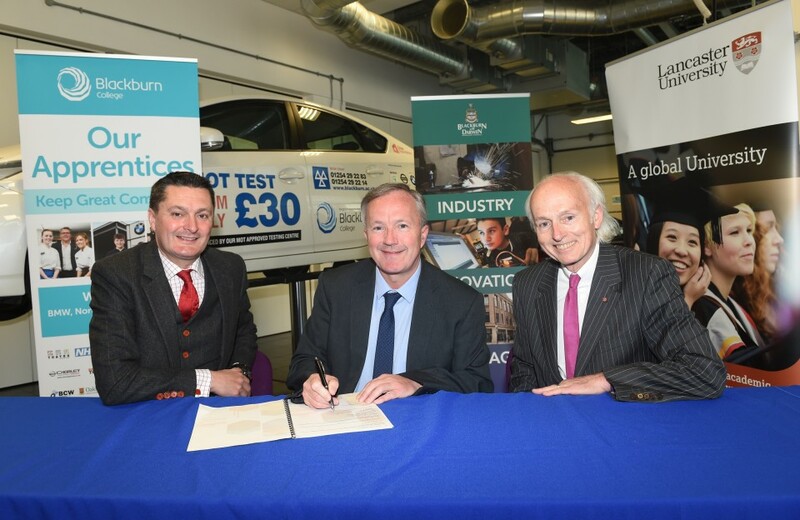 Pictured ( left to right )is Pro Vice Chancellor Andrew Atherton, Blackburn with Darwen Chief Executive Harry Catherall with chairman of Blackburn’s College’s Corporation Board, Phil Watson. The special agreement between Blackburn with Darwen Council, Blackburn College and Lancaster University will promote collaboration and is set to achieve a key element of the Government’s developing Industrial Strategy: ‘Creating the right institutions to bring together sectors and places’. This alliance will mean we can enhance our ongoing and future project work. It’s about working even closer together to deliver innovative ways of making a real difference to people in Blackburn and Darwen,. The initial work plan includes a wide range of projects with improving skills, attainments and routes to quality jobs being a high priority. New investment coming out of successful funding bids promises to create further capacity. 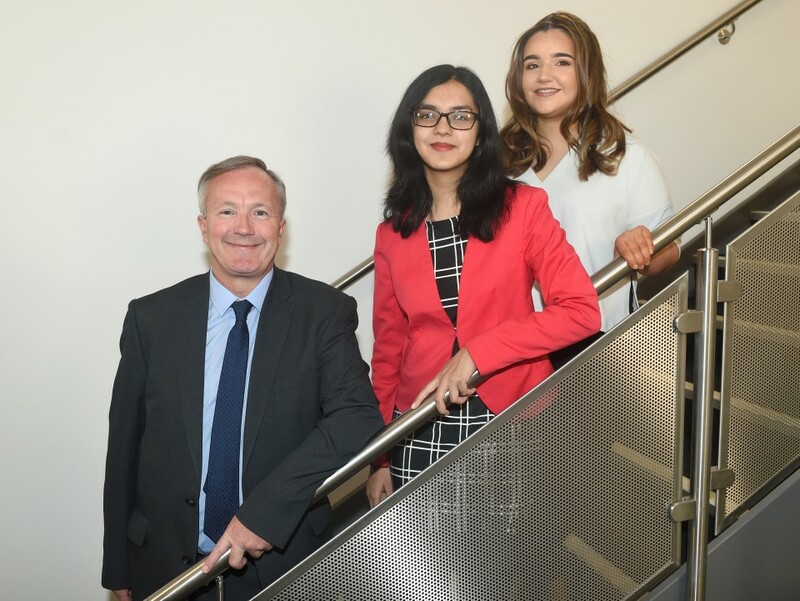 Pictured with Council Chief Executive Harry Catherall are Maya Mahmood and Katie Miller Lancaster University undergraduates and former Blackburn College students who are benefitting from a Council led graduate retention scheme which links them with local mentors and offers work experience opportunities. This unrivalled and sector leading partnership goes to the heart of what Blackburn College seeks to achieve. Meeting the needs of employers; driving social improvement and providing world-class inclusive education and training for our community, equipping them with those skills and attributes so valued by employers in a very competitive global market place. This is about creating an Agenda for Change and transforming Blackburn’s place in the UK and the world. Health and social care will be a key focus, with work taking place to further strengthen community and social activities and the opportunities provided by digital developments.